Seven out of eight properties available to rent are priced beyond the reach of those in receipt of rent supports, a rental sector snapshot study by the Simon Communities in Ireland has found. Conducted over three days, ‘Locked Out of the Market: The Gap between Rent Supplement/HAP Limits and Market Rents’ highlights the growing disparity between rising rents and Rent Supplement/Housing Assistance Payments (HAP) limits for which have remained unchanged since June 2013. In the preceding two years national rents have increased on average by 18%, according to figures provided by Daft.ie. 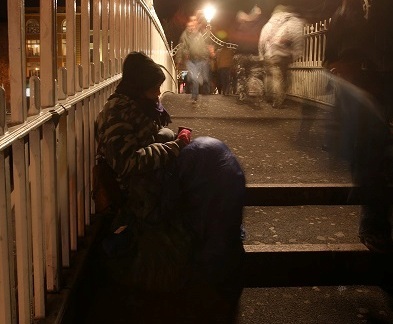 The Simon Communities in Ireland believe urgent action is now needed to address the housing and homelessness crisis as it continues to spiral out of control. Increasing Rent Supplement and HAP limits to bring them in line with market prices must now be at the top of the Government’s agenda as the annual Pre Budget Forum takes place this Friday (3rd July). Rent certainty and the introduction of incentives for landlords whose tenants are in receipt of Rent Supplement and HAP, as recommended by the National Economic and Social Council (NESC), also must be introduced immediately if the Government is serious about meeting its target of ending long-term homelessness and rough sleeping by 2016. There was an average of 1,150 properties available to rent tracked on property website Daft.ie. only nine were available within the single person Rent Supplement limit. 17 were within the limit for Rent Supplement for a couple. 69 were within the limit for a couple or single parent with one child. 43 were available for a couple or one parent with two children. Niamh Randall, National Spokesperson for the Simon Communities, added that housing plus supports is crucial in dealing with the homelessness crisis.